I received a letter from the Japan Information and Cultural Centre through the post today. 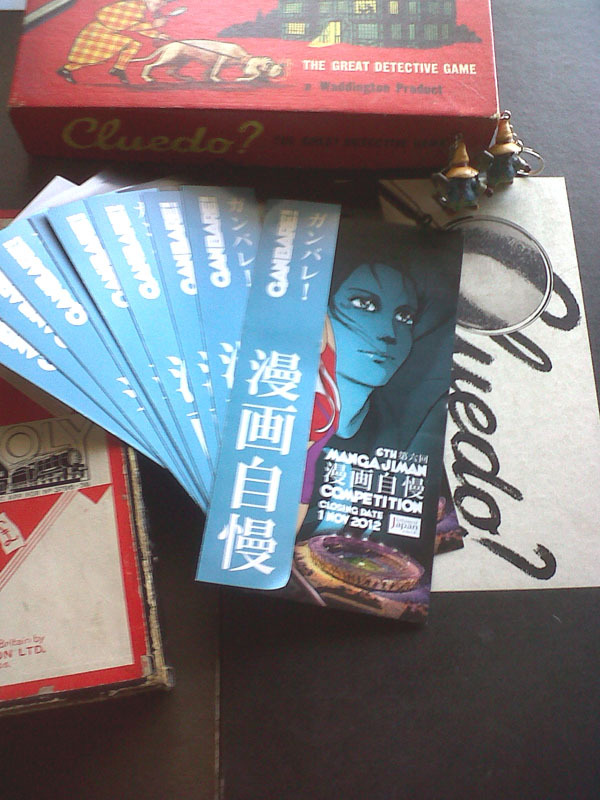 They had sent me a Final Fantasy IX keychain and also TEN leaflets for this years Manga Jiman competition which thematically ties in with the London 2012 Olympic Games which are just 27 days away! I now have two classic Board Games, the original version of Monopoly (which I haven't played for fear that I'll ruin or lose any of the pieces) and an original version of Cluedo (with lead pipe made of real lead and revolver that's actually a pistol) which are both 100% complete which is more than can be said for Trivial Pursuit which consists of a loose board, the pieces which are secure in the original bag and 192 question cards which aren't that easy to keep in order without the original container.